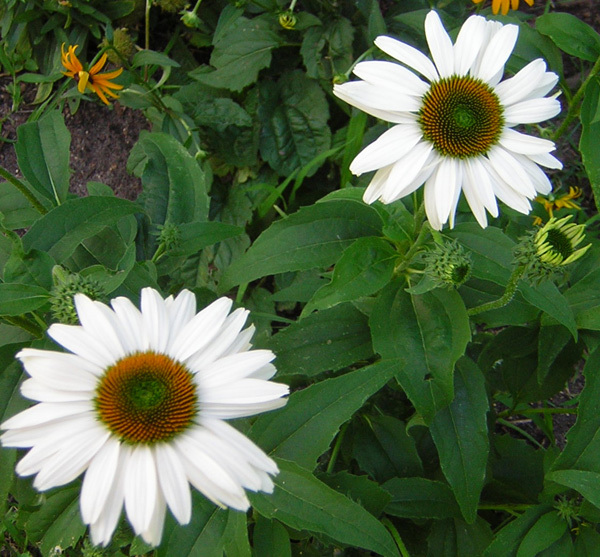 These lovely echinacea blossoms are from the “Fragrant Angel” variety. Too, too lovely and a delicate perfume in the heat of the day. Don’t you just love that pure white bloom?